Starting from Scratch – Taking Advantage of the Mulligan! When I start out on a new journey do I embrace the “newness” of the adventure or do I go into it with expectations grounded in my own previous experiences. “The steadfast love of the Lord never ceases; his mercies never come to an end; they are new every morning; great is your faithfulness.” (Lam 3:18) How cool is it that I get to take a mulligan everyday and get to take another shot at it. So if this is such a great opportunity, why don’t I start over with new expectations for success; not based in my past failures, but reaching higher and armed with every new resource I can muster. I read the posts…most of us hate Mondays. But isn’t Monday supposed to be that fresh start? A new day, a new week, full of expectancy, hope, and new opportunities? We head into that day with old expectations. We attack it knowing with the same outlook, attitude and resources that we did last week. How about we take the mulligan? Find a new way, be innovative, upgrade those expectations and make it a great adventure. 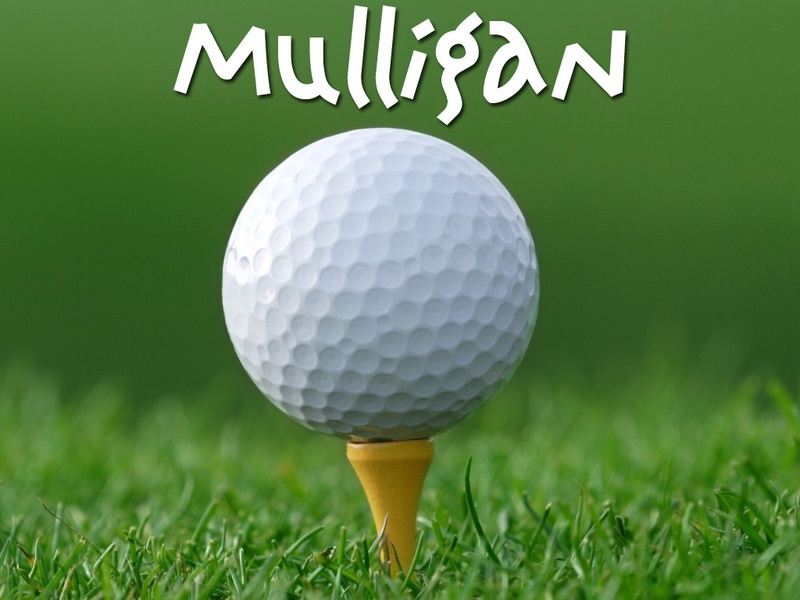 Have you been given a big mulligan in your life? Have you taken advantage of it? Nicodemus didn’t understand this concept. Jesus explained that the second birth is not the same as the first one. If you have been born again, are you taking advantage of all of the resources available the second time? Take advantage of your new opportunity. I think I will.